Welcome to the inaugural issue of Off-by-none! 🎉 I’m so happy that you’re here. 🙌 For those of you that have been email subscribers for a while, this will look a little different. I hope you’ll stick with me; I think this will be interesting. For those of you that are new, welcome, and thank you for joining! I’m a constant learner, and I’ve found one of the best ways to learn is to take great notes, and then share what you’ve learned with others. This is the goal of Off-by-none. Not to be perfect, not get on a high horse 🐴 and tell you what you should and should not do, but to encourage collaboration and experimentation. Let’s push the limits of serverless. Then let’s take what we’ve discovered, and disseminate it to the masses, so we can learn from each other’s mistakes AND successes. Lots of people think RDBMS and Serverless don’t mix, and unless you use a series of hacks and tricks, then you’re likely to have scaling problems given the way serverless containers handle concurrent connections. In the past, I’ve often mitigated this issue by increasing the max_connections setting and gracefully handling errors. But now with Aurora Serverless, you can’t change that setting, which means LOTs of Too many connections errors. I spent some time and turned all my learnings from the past several years (as well as my new experiments) into a new NPM module called Serverless MySQL. It manages connections for you, cleans up zombies to maintain total connection use thresholds, and even makes working with MySQL connections in Node.js super easy by adding async/await support and simple transaction workflows. I wrote a post about it called Managing MySQL at Serverless Scale that goes into a lot more detail. I’ve got some travel plans coming up! I’ll be heading to ServerlessDays NYC on October 30th and I will be going to AWS re:Invent this year! I’m hoping to meet a lot of you in person, but I’ll also be taking copious notes and will be sure to share what I learn with all of you. If you’ll be at either event, connect with me via Twitter, LinkedIn, Facebook, or email so we can meet up (and maybe grab a few 🍻). But it turns out that I’m in good company. Yan Cui had the same thing happen to him earlier this year. He decided to make his blog serverless by using Shifter, a service that converts your WordPress blog into a static, serverless site. I really like this idea, but at the same time, I’m also really sick of WordPress in general. I’ve actually been thinking about this for quite some time and should have more thoughts to share soon. This week’s star is Slobodan Stojanović (@slobodan_). 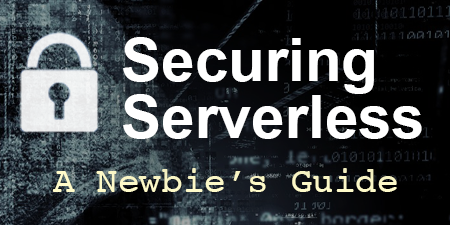 Not only did he write the book on Serverless Applications with Node.js, but he also has a number of great serverless posts (like here and here). But the reason I chose Slobodan this week is because of a recent talk he gave at Frontend Conference in Zurich. I wasn’t able to be there in person, but when I saw his slides, I was inspired. Convincing people to adopt serverless is a bit of a passion of mine, and the fact that Slobodan was introducing serverless to an entirely new audience (frontend developers) is a positive step towards more adoption. And, I’m also super jealous by how good his artwork is! I hope you enjoyed this first issue of Off-by-none. It wouldn’t be possible without you and the contributions of a vibrant Serverless community. Please send me your feedback so I can continue to make this newsletter better each week. Reach out via Twitter, LinkedIn, Facebook, or email and let me know your thoughts, criticisms, or even how you’d like to contribute to Off-by-none. 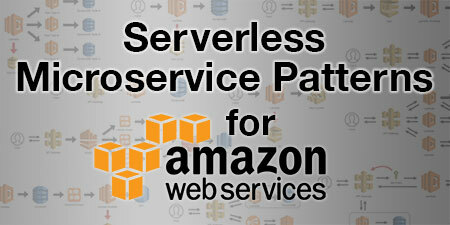 Amazon announced the General Availability of Aurora Serverless on August 9, 2018. I have been playing around with the preview of Aurora Serverless for a few months, and I must say that overall, I’m very impressed. There are A LOT of limitations with this first release, but I believe that Amazon will do what Amazon does best, and keep iterating until this thing is rock solid. The announcement gives a great overview and the official User Guide is chock full of interesting and useful information, so I definitely suggest giving those a read. In this post, I want to dive a little bit deeper and discuss the pros and cons of Aurora Serverless. I also want to dig into some of the technical details, pricing comparisons, and look more closely at the limitations. I’m playing around with AWS lambda and connections to an RDS database and am finding that for the containers that are not reused the connection remains. I found before that sometimes the connections would just die eventually. I was wondering, is there some way to manage and/or end the connections without needing to wait for them to end on their own? The main issue I’m worried about is that these unused connections would remain for an excessive amount of time and prevent new connections that will actually be used from being made due to the limit on the number of connections. 🧟‍♂️ Zombie RDS connections leftover on container expiration can become a problem when you start to reach a high number of concurrent Lambda executions. My guess is that this is why AWS is launching Aurora Serverless, to deal with relational databases at scale. At the time of this writing it is still in preview mode. Update September 2, 2018: I wrote an NPM module that manages MySQL connections for you in serverless environments. Check it out here. Update August 9, 2018: Aurora Serverless is now Generally Available! Overall, I’ve found that Lambda is pretty good about closing database connections when the container expires, but even if it does it reliably, it still doesn’t solve the MAX CONNECTIONS problem. Here are several strategies that I’ve used to deal with this issue. I came across an interesting problem the other day. As part of our URL normalization strategy at AlertMe, we have been adding a trailing slash to URLs without file extensions. We did a lot of research when deciding on this tactic and the general consensus around the web was to use trailing slashes for directories and (obviously) no slashes on filenames. See this article from the official Google Webmasters blog: https://webmasters.googleblog.com/2010/04/to-slash-or-not-to-slash.html (I know it’s old, but the concept is still relevant). We even tested a number of publisher URLs to see what their redirection strategies were. Every one we tested responded correctly to both the slash and no-slash versions of the URL. Some redirected to a trailing slash, some redirected to no trailing slash, but they all returned (or redirected to) the intended page. Update 9/2/2018: I wrote an NPM module that manages MySQL connections for you in serverless environments. Check it out here. I work with AWS Lambda quite a bit. The ability to use this Functions-as-a-Service (FaaS) has dramatically reduced the complexity and hardware needs of the apps I work on. This is what’s known as a “Serverless” architecture since we do not need to provision any servers in order to run these functions. FaaS is great for a number of use cases (like processing images) because it will scale immediately and near infinitely when there are spikes in traffic. There’s no longer the need to run several underutilized processing servers just waiting for someone to request a large job. 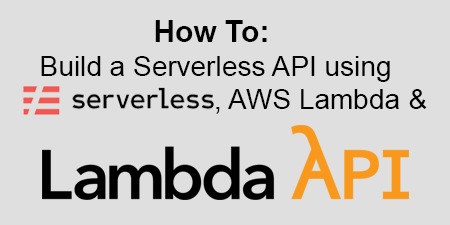 AWS Lambda is event-driven, so it’s also possible to have it respond to API requests through AWS’s API Gateway. However, since Lambda is stateless, you’ll most likely need to query a persistent datastore in order for it to do anything exciting. Setting up a new database connection is relatively expensive. In my experience it typically takes more than 200ms. If we have to reconnect to the database every time we run our Lambda functions (especially if we’re responding to an API request) then we are already adding over 200ms to the total response time. Add that to your queries and whatever additional processing you need to perform and it becomes unusable under normal circumstance. Luckily, Lambda lets us “freeze” and then “thaw” these types of connections. Update 4/5/2018: After running some new tests, it appears that “warm” functions now average anywhere between 4 and 20ms to connect to RDS instances in the same VPC. Cold starts still average greater than 100ms. Lambda does handle setting up DB connections really well under heavy load, but I still favor connection reuse as it cuts several milliseconds off your execution time.